The CPA alliance is led by the Australian Forest Products Association, Farmers for Climate Action, the Red Meat Advisory Council and Greening Australia, and has received bipartisan support following its launch in Canberra recently, with a one of its key shared principles to expand the scope and benefits of carbon farming through the ERF. Carbon sequestration has been the largest source of emissions reduction in the past decade, and adequate funding will not only create more habitat for Australia’s native plants and animals, but also increase resilience and productivity on landscapes over time. “Since the introduction of the Emissions Reduction Fund in 2015, over 80% of emissions reductions contracted to date through the ERF have come from agriculture and land sector projects.” Brendan Foran, CEO, Greening Australia said. “This long-term commitment to the ERF is an opportunity to not only boost the capacity of the landscape to contribute to Australia’s carbon mitigation strategy, but to be more ambitious about what it can achieve by encouraging more projects that deliver these co-benefits of biodiversity, productivity, water quality and landholders and employment. CPA seeks to bring the conservation, farming and forestry sectors together to work with decision makers on removing some of the existing barriers in the ERF that have limited the land sector’s participation, and to prioritise ERF projects that deliver environmental, social and economic co-benefits. 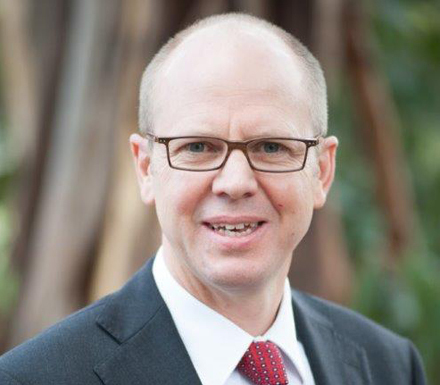 “The current Emissions Reduction Fund (ERF) conditions limit the land sector’s capacity to generate co-benefits associated with carbon sequestration, such as reinstating wildlife habitat, supporting sustainable agriculture, increasing the plantation forestry estate, and cleaner waters in our rivers,” Ross Hampton, CEO, Australian Forest Products Association said. “This next phase of the ERF is an opportunity to address these barriers and make it more accessible to primary industries and landowners,” he said. “However, it is essential that agriculture’s efforts are delivered in conjunction with a broad suite of policy options to actively reduce Australia’s emissions across the economy while delivering benefits for the community,” she said. The Climate Change Authority (CCA) has supported the approach in a number of recent reports recommending a greater uptake of land and agriculture-based carbon sequestration projects and better recognition of the co-benefits to support our industries to work together toward a common climate goal. CPA recognises the critical importance of carbon emissions measures, but also suggests a new approach to land management that encourages farmers to earn carbon credits on their land, sequester carbon from the atmosphere and create more habitat for Australia’s native plants and animals, while increasing resilience and productivity.